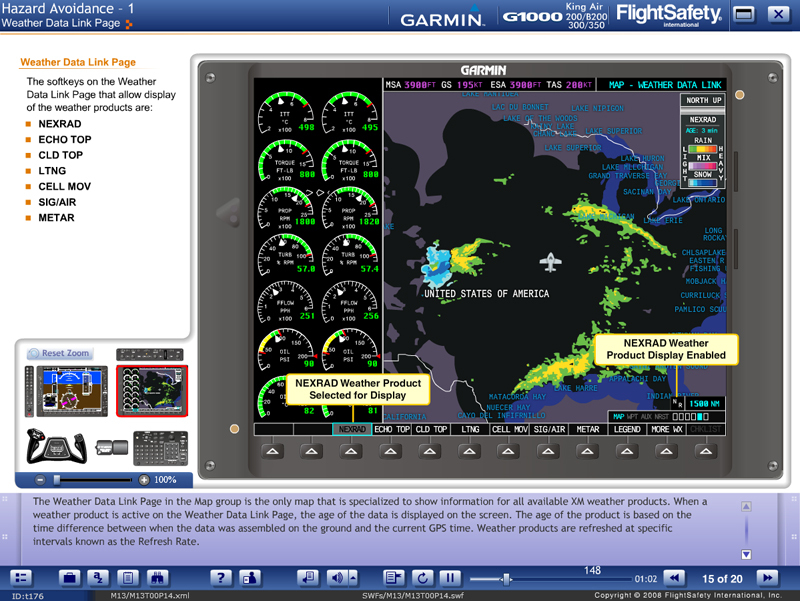 Are you new to the Garmin G1000 avionics suite? Get a head start on your King Air 200/300 series training experience by familiarizing yourself with the Garmin G1000 avionics suite. This online course is structured into a number of topics and taught with foundational knowledge-based and interactive, scenario-based instructional styles throughout the entire course which makes learning easy and exciting! 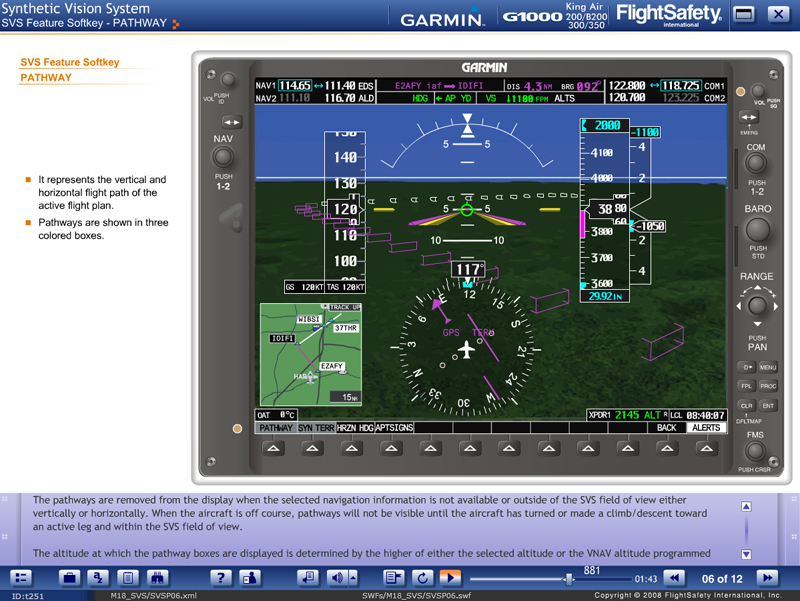 The course contains a module on Synthetic Vision System which identifies its features, covers the functions of each of the SVS softkeys, namely PATHWAY, SYN TERR, HRZN HDG, and APTSIGNS, and reviews other enhancement features such as Flight Path Marker (FPM), Zero Pitch Line, Traffic display, Runway display, and Obstacle and Terrain Alert Warnings. 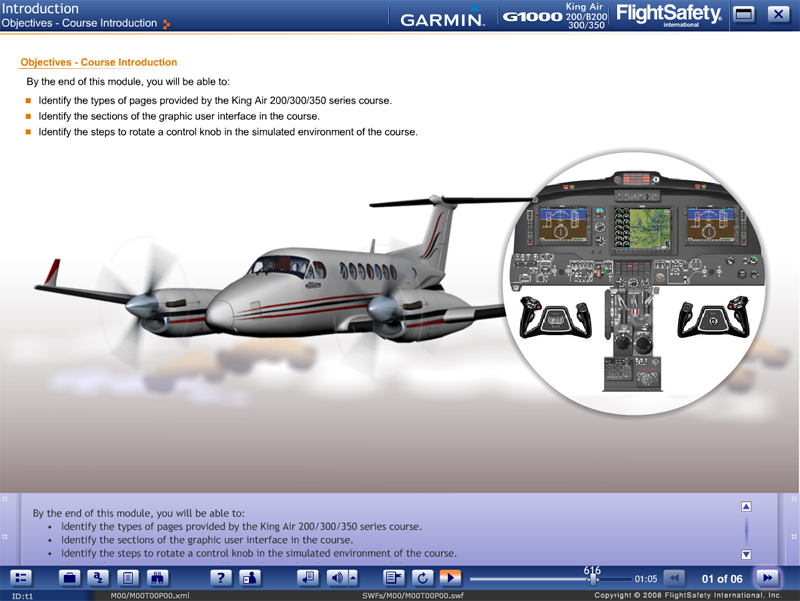 FlightSafety's G1000 for the King Air 200/300 series offers you a hands-on approach to understanding and programming the device. You are introduced and walked through each part/element of the G1000 to help you understand how to use the various components. Apply this new knowledge by programming the G1000 on your own. The simulated environment provided by the graphical user interface helps you to perform various tasks to learn the device quickly and easily. Demo - allows you to go through the specific task for the first time and gain an understanding of its use. Try It - allows you to perform the tasks on your own, at which time the system will offer feedback as to whether or not the steps are being followed correctly. Evaluate - Build your confidence! 'Evaluate' presents you with a similar task that needs to be completed successfully before proceeding to the next module. 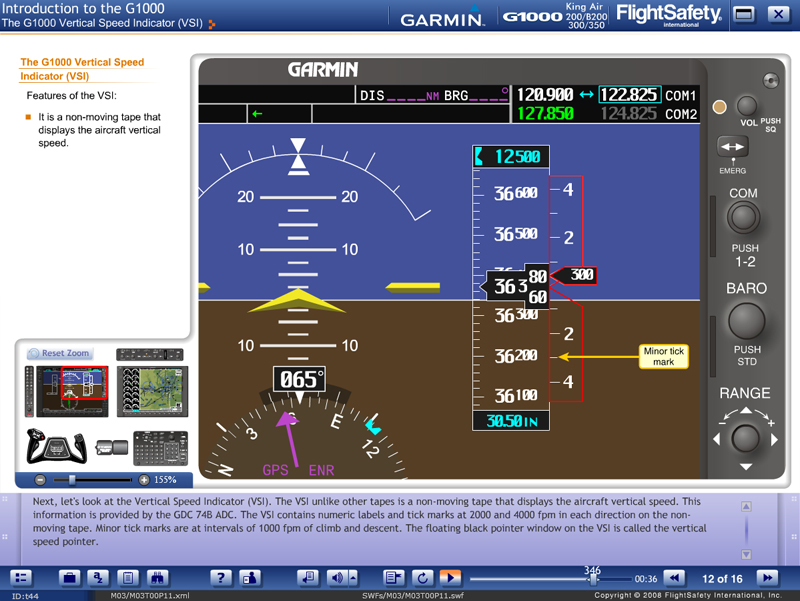 Save time and money by learning the G1000 online, not in the cockpit.